Those familiar with the services that we provide at CynergyData Texas know that we are committed to helping you grow your business. As a business owner, if you find yourself unsatisfied with your current credit card processing company, consider making the switch to CDT. Such a change may sound daunting, so we’ve laid out some points to emphasize how simple the process is. This entry was posted in General on July 15, 2016 by Christopher Jennings. New Business? Looking to Expand? We’re here to help! This entry was posted in General on June 29, 2016 by Christopher Jennings. According to creditcards.com, 78% of consumers use credit/debit cards over cash. You may see this as a general statement that doesn’t apply to your business, but if you’re a dine-in restaurant, cash is certainly not king. Seventy-four percent of diners prefer to use plastic rather than cash. Gone is the question, “Do you accept credit cards?.” It’s an assumption that any growing business already does. Even more, there is an expectation in a high-tech community such as Austin that businesses not only have a point of sales system in place but that they have upgraded to a mobile point-of-sale solution. This entry was posted in General on June 13, 2016 by Christopher Jennings. When choosing a merchant services provider, there are a plethora of choices. There are large national corporations that promise lower rates, but fail to provide quality service. Then there are small, local companies who excel at customer service, but can’t negotiate the lowest rates for your business. At Cynergy Data Texas, we pride our selves in not only providing the lowest rates for our clients but also providing exemplary customer service every single day for our clients. This entry was posted in General on May 24, 2016 by Christopher Jennings. My Business Needs Cash Now! We get it. Part of being a small business owner is balancing running the business while staying on budget. With expenses such as labor, product, rent and other overhead, it’s no wonder that so many businesses have little free capital. Sometimes though, things just come up. Sometimes your business needs a little extra cash to help grow the business. That’s why we offer several merchant cash programs at Cynergy Data Texas! This entry was posted in General on May 2, 2016 by Christopher Jennings. Many businesses are taking advantage of the increased efficiency of mobile credit card processing solutions. According to a recent study by AT&T, 30% of businesses are using mobile solutions in the field. More and more, we are seeing a growing trend towards mobile solutions because they are more efficient. In fact, mobile processing solutions can increase the efficiency of your employees in three ways. First, mobile solutions save your employees time running back and forth between the customer and the payment terminal. Second, mobile credit card processing solutions allow your business the flexibility to travel. Third, mobile credit card processing solutions are extremely user friendly— saving your employees time and hassle. This entry was posted in General on April 20, 2016 by Christopher Jennings. What is PCI Compliance? It’s a frequent question we answer at Cynergy Data Texas. Quite simply, PCI Compliance, short for Payment Card Industry Data Security Standard, is a set of requirements to ensure that merchants process, store, and transmit sensitive information in a secure manner. These standards apply regardless of whether the transaction was processed at a point of sale system, through e-commerce or over the phone. 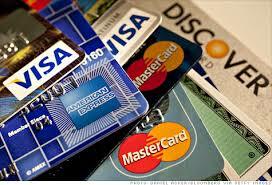 The ultimate goal of PCI Compliance standards are to limit and deter credit card/debit card fraud. PCI compliance is recommended for any merchant that process credit or debit cards- whether at a point of sale or over the phone. While PCI Compliance is not mandated by federal law, several states mandate PCI Compliance. This entry was posted in General on April 4, 2016 by Christopher Jennings. One of the most popular credit card fraud schemes right now is called “credit card skimming”, and you the business owner can help stop it. But what is skimming? Credit card skimming encompasses a variety of fraudulent activity centered around one common factor: the way the information was acquired. Credit card skimming is the theft of credit card information from an otherwise legitimate transaction. Credit card skimming can be as simple as photocopying credit card numbers or writing information down to complex electronic devices. This entry was posted in General on March 22, 2016 by Christopher Jennings. Last October, businesses were mandated to adopt EMV compliant terminals. The EMV shift has already occurred in every major American market. 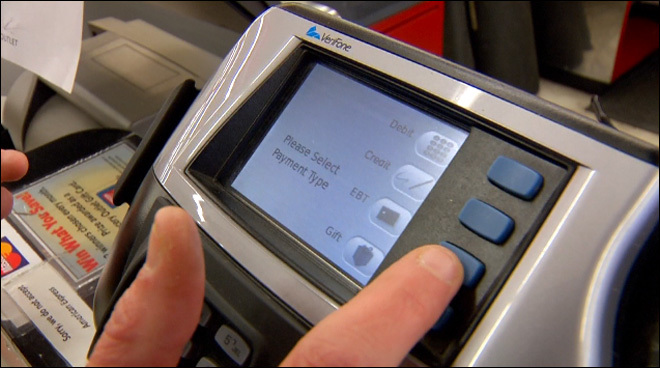 Some businesses have not adopted EMV terminals due to cost or supply shortage. While the transition might not have gone smoothly, many businesses have successfully implemented EMV terminals. Many large companies have already made the shift such as Home Depot, Walmart, Target and Walgreens. Here is a quick run down again of what is an EMV card and why your business should adopt EMV compliant terminals. Originally started by Europay in the mid-90s, the goal of EMV is to introduce smart cards to deter credit card fraud and provide a global infrastructure from credit card usage. EMV cards create a consistent transaction process world wide between card users and merchants. But what is a “smart card”? A “smart card” is very similar to any other credit or debit card except for the inserted micro chip that processes the transition rather than a traditional magnetic swipe strip on the back of the card. The micro chip creates a one time password to protect the security of each transaction. Rather than swiping, users simply “dip” their card chip into the reader and the transaction then processes. Ultimately, the goal is to reduce “card present fraud” as well as “non card present fraud” for the consumer. The main reason to adopt an EMV compliant terminal is because of a shift in fraud liability. Unlike the past when banks have been liable for fraudulent charges, merchants who do not have an EMV compliant terminal will now be liable for fraudulent charges if a magnetic strip transaction method is used. If your business does not have an EMV compliant terminal, you could be on the hook for fraudulent charges. There have been concerns over the implementation of EMV terminals by industries such as restaurants, and other tip based services. While the EMV transaction model can create an awkward situation, such as adding a separate transaction for the tip, the benefits of liability protection far out weigh the possible awkward situation. This entry was posted in General on March 1, 2016 by Christopher Jennings. According to Forrester Research, Americans will spend over $350 billion dollars online this year. Having an e-commerce solution in place on your website has become more important that ever. E-Commerce allows your business to sell products during non traditional hours, can be synced to your point of sale, as well as set up recurring billing programs for your customers online. This entry was posted in General on February 15, 2016 by Christopher Jennings.